MIAMI COUNTY — A Troy man who overdosed in the parking lot of a gas station entered a plea of guilty to fifth-degree possession of cocaine in Miami County Common Pleas Court on Thursday. Spencer Goodrich, 25, of Troy, entered the plea to the charge, which occurred on April 21, 2017. Judge Jeannine Pratt ordered Goodrich to complete a pre-sentence investigation and set sentencing for Sept. 5. She also set bond at $2,500 cash or surety. According to the police report, officers responded to the former Valero gas station in reference to Goodrich in medical distress. An officer observed white and powdery substance in his nostril cavity. Goodrich was slumped over and not breathing, but had a pulse. The officer administered chest compressions until Troy medics arrived. The substance was later determined by BCI to be cocaine. • Scott Tindle, 37, of Troy , will be arraigned on one count of third-degree felony weapons while under disability and violating a protection order. • William Ingle, 21, of Troy, will be arraigned on one count of third-degree making false alarms. • Mark A. 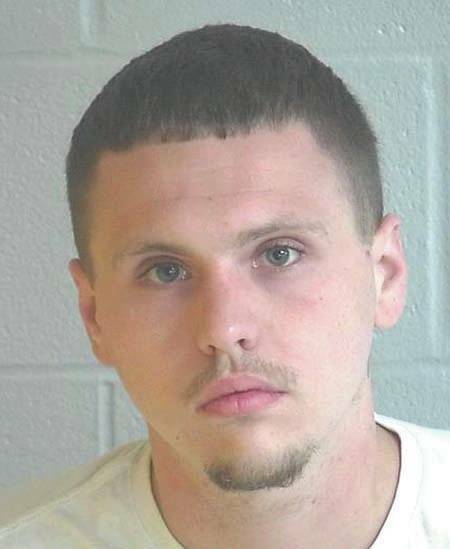 Wood, 22, of Piqua, will be arraigned on one count of fifth-degree receiving stolen property.